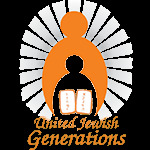 United Jewish Generations offers prayer services weekly, in addition to the High Holidays. The Shabbat services take place on Friday evenings at 6:00 pm, followed by a delicious Shabbat dinner. Reservations are required. To reserve a seat please call (305) 770-4540 or email rabbismith@hotmail.com. Jewish thought teaches us that education doesn’t end at a graduation but rather it continues throughout ones’ lifetime. In addition to stimulating ones’ mind, studying Torah allows us to strengthen our connection with our heritage and endows us with feelings of hope, truth and purpose.